Most of the entries in this glossary are adapted from AARP's Social Security for Dummies, by Jonathan Peterson, © 2012 by AARP, and excerpted with permission of the publisher. Some entries have been adapted from the Social Security Administration's "Glossary of Social Security Terms." 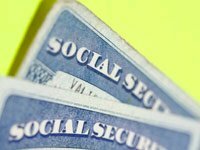 Stumped by what a Social Security-related word or term means? Look it up. Administrative law judge: A legally experienced official who presides over hearings and administrative appeals of Social Security Administration decisions. AIME: See average indexed monthly earnings (AIME). Appeal: A procedure by which an applicant challenges a decision by the Social Security Administration. The appeals process has four main steps: (1) reconsideration, (2) administrative law judge, (3) Appeals Council, (4) U.S. federal court (both the district court and the appropriate court of appeals). Appeals Council: The adjudicative body within the Social Security Administration that reviews appeals after hearings with an administrative law judge. Application for benefits. See benefit application. Auxiliary benefits: Benefits that go to family members, based on a worker's earnings record with the Social Security Administration. Also known as family benefits or dependent benefits. Average indexed monthly earnings (AIME): The dollar amount used to calculate your Social Security benefit. (If you attained age 62 or became disabled [or died] before 1978, a different formula — average monthly earnings [AME] — is used instead.) AIME is based on actual past earnings for 35 years that have been indexed for wage growth and averaged. The annual average is then divided by 12 to get the monthly average, or AIME. The indexing is aimed at preventing you from losing the value of your past earnings (when money was worth more) in relation to your more recent earnings. AIME is a key to the Social Security benefits computation. Average monthly earnings (AME): The dollar amount used to calculate your monthly Social Security benefit if you attained age 62 or became disabled (or died) before 1978. The AME is determined by dividing total earnings in the computation years by the number of months in those same years. Base years: A wage earner's base years for computing Social Security benefits are the years after 1950 up to the year of entitlement to retirement or disability insurance benefits. For a survivor's claim, the base years include the year of the worker's death. Bend points: The dollar amounts that mark where the primary insurance amount formula changes based on average indexed monthly earnings and where the maximum family benefit formula changes based on the primary insurance amount. They're called bend points because the formulas, when graphed, appear as lines that bend at these amounts. Beneficiary: An individual who receives benefits. Benefit application: The application form you must complete and sign to receive Social Security benefits, Supplemental Security Income (SSI) payments or Medicare. You can apply for retirement, disability, Medicare and spouse's benefits online (at socialsecurity.gov), in person (at a Social Security office) or by telephone (800-772-1213). Benefit verification letter: An official letter from Social Security that verifies the amount an individual receives each month in Social Security benefits and/or Supplemental Security Income (SSI) payments. These letters are normally issued following a request from a person receiving benefits or an authorized representative. Break-even point: The age at which your total collected Social Security benefits would be equal, if started at two different times. The break-even point reflects the fact that benefits claimed later pay higher amounts than benefits claimed earlier. Child: A biological child, adopted child, stepchild or dependent grandchild who is potentially qualified for benefits based on a worker's earnings record. The Social Security Administration is guided by state inheritance laws in resolving questions about a child's legal status. Claim and suspend: A strategy for married couples to maximize benefits. At full retirement age, the main breadwinner files for benefits and then suspends the claim, enabling the spouse (age 62-plus) to get spousal benefits. Later, when the breadwinner claims the suspended benefits, those benefits have grown because of delayed retirement credits. Also known as file and suspend. COLA: See cost-of-living adjustment (COLA). Compassionate allowance: A Social Security Administration initiative in which certain extreme conditions are designated for fast-track consideration for disability benefits. Computation years: The years with earnings used to calculate a Social Security benefit. For retired workers, this will be the highest 35 years of earnings. For the disabled and those who die, the number of computation years could be lower. Consultative examination: A medical exam by a government-paid health care specialist who advises an administrative law judge determining whether an applicant qualifies for disability benefits. Contribution and benefit base: See taxable maximum. Cost-of-living adjustment (COLA): Annual adjustment in Social Security benefits so that they keep pace with inflation. Cost-of-living adjustments may not be made in years with little or no inflation. Covered employment: Work in which you and an employer are required to make Social Security payroll tax contributions. Most jobs in the U.S. economy are covered employment. Credits: Units that count toward entitlement for Social Security benefits, based on earnings in covered employment. You can earn up to four credits a year. Social Security awards one credit for every quarter in which you earn a certain amount ($1,160 in 2013). Generally, 40 credits — which you can accumulate in 10 years of covered employment — is enough to qualify for retirement benefits. Also known as work credits or quarters of coverage. DDS: See Disability Determination Service (DDS). Decision letter: An official letter from the Social Security Administration explaining its decision on your disability benefits and, if benefits are payable, spelling out the amount you will get each month. Delayed retirement credits: Social Security benefits are increased by a certain percentage (depending on your date of birth) if you delay claiming retirement benefits until after you reach full retirement age. Delayed retirement credits are awarded up to age 70. Dependent: A family member who may qualify for benefits based on a worker's earnings record with the Social Security Administration. Dependents include a spouse, children and potentially others. Dependent benefits: See auxiliary benefits. Disability benefits: Benefits awarded to individuals under full retirement age who have physical or mental impairments that are severe enough to prevent them from doing "substantial" work for a year or more or a condition that is expected to result in death. Disability Determination Service (DDS): The state agency that works closely with the Social Security Administration to review applications for disability benefits. Dual entitlement: When you're entitled to benefits on more than one earnings record, such as your own and that of a spouse. Earliest eligibility age (EEA): This is the earliest age at which individuals can apply for Social Security benefits. For retirement benefits, the EEA is 62. For non-disabled widows or widowers with no children, the EEA is 60. For disabled widows or widowers with no children, the EEA is 50. For widows or widowers with children under age 16 and for the disabled, there is no EEA. Early retirement age: Age 62. Early retirement benefits. Retirement benefits claimed before full retirement age, as early as 62. Early retirement benefits are reduced for each month claimed before full retirement age. Earnings history: See earnings record. Earnings record: A chronological history of the amount of money you earned each year during your working lifetime. The credits you earned remain on your Social Security record even when you change jobs or have no earnings. Retirement benefits are based on your 35 years of highest earnings. Also known as earnings history. Earnings test: Required withholding of benefits if earnings exceed certain limits and you haven't reached full retirement age. Benefits are reduced by $1 for every $2 in earnings above $15,120 in 2013, if you're below full retirement age for the entire year; or $1 for every $3 in earnings above $40,080 for months during the year in which you reach full retirement age. Also known as retirement earnings test. EEA: See earliest eligibility age (EEA). Eligible. Meeting the age, credit and relationship (such as spouse, child and so on) requirements necessary to receive a Social Security benefit. Eligibility does not automatically enroll you in Social Security; once eligible, you'll need to apply for a benefit. Entitled: Having completed an application for Social Security benefits for which you are eligible. Ex-spousal benefit: A type of Social Security benefit paid to a lower-earning divorced spouse. The ex-spouse benefit can be up to 50 percent of the higher-earning spouse's primary insurance amount, when claimed at full retirement age. The couple must have been married for at least 10 years in order for the lower-earning ex-spouse to be eligible for an ex-spousal benefit. Family benefits: See auxiliary benefits. Family maximum: The maximum amount of combined benefits that can be paid to family members based on a worker's earnings record (generally 150 percent to 180 percent of the worker's primary insurance amount). Also known as maximum family benefit. FICA tax: The payroll tax for Social Security and Medicare, under the Federal Insurance Contributions Act (FICA). The Social Security portion has historically been set at 6.2 percent on earnings up to an annual cap for employees and employers, although Congress has approved temporary breaks for workers. The Medicare portion is 1.45 percent on all earnings, also paid by employees and employers. File and suspend: See claim and suspend. FRA: See full retirement age (FRA). FRB: See full retirement benefit (FRB). Full retirement age (FRA): The age at which you qualify for full (or unreduced) retirement benefits. The full retirement age is based on your year of birth and is gradually rising to 67 for individuals born in 1960 or later. Also known as normal retirement age. Full retirement benefit (FRB): The benefit you receive at full retirement age. It is equal to 100 percent of the primary insurance amount. Retirement benefits increase if claimed after full retirement age, up to age 70. Gainful activity: Work you do for pay. The Social Security Administration sets a dollar amount of gainful activity it considers "substantial" and may not award disability benefits to people who earn more than that amount. The substantial gainful activity threshold was set at $1,040 per month for 2013 ($1,740 per month for the blind). Government pension offset: A provision that reduces Social Security spousal and widow/widower's benefits, if they're based on the earnings record of a worker who spent part of his or her career in government employment not covered by Social Security. Hearing: An appeal that takes place before an administrative law judge. The hearing stage of an appeal is where an initial Social Security Administration determination is most likely to be reversed. Insured status: Your status toward eligibility for Social Security, based on your total number of work credits. Generally, you need to be "fully insured" to receive full Social Security benefits; however, in certain cases, "currently insured status" with fewer work credits may allow for widow/widower or child benefits. Lifetime earnings: See earnings record. Listing of impairments: An official compilation of highly severe conditions, including detailed criteria that enable an individual to qualify for Social Security disability benefits. Lump-sum death benefit: A one-time payment of $255 to the spouse or child of a covered worker who dies (in addition to any monthly survivors benefits that are due). The survivor must file for the lump-sum death benefit within two years of the worker's death. Maximum earnings: The maximum amount of taxable earnings counted in any calendar year ($113,700 in 2013) when computing your Social Security benefit. Maximum family benefit: See family maximum. Medicare: The government health insurance program for individuals 65 and older, as well as some others, including those receiving Social Security disability benefits for two years or more. Month of election: Generally, the month an individual chooses to begin receiving retirement benefits. My Social Security: A website (socialsecurity.gov/myaccount) operated by the Social Security Administration that lets you set up an online account to use during your working years as well as while receiving Social Security benefits. You can use it to get your Social Security Statement and review estimates of your benefits, your earnings record and the estimated Social Security and Medicare taxes you've paid. Normal retirement age: See full retirement age (FRA). OASDI: See Old-Age, Survivors, and Disability Insurance (OASDI). Old-Age, Survivors, and Disability Insurance (OASDI): The formal name for Social Security, including benefits for retirement, survivors, disabled workers and dependent family members. Overpayment notice: Formal notification that the Social Security Administration believes you have been overpaid and owe it money. You may challenge an overpayment notice by filing a request for reconsideration or waiver of recovery. PIA: See primary insurance amount (PIA). POMS: See Program Operations Manual System (POMS). Primary insurance amount (PIA): An amount equal to your Social Security benefit at full retirement age. The PIA is the basis used to compute benefits that may go to you or your family members. It's based on a progressive formula applied to the average indexed monthly earnings. Program Operations Manual System (POMS): Provides guidance for Social Security Administration employees in making determinations about benefits. Progressivity: Measured in different ways, the feature of Social Security designed to make benefits relatively more generous for low earners than for high earners. Progressivity is achieved mainly through the formula used to calculate the primary insurance amount. Protective filing date: The date you contact the Social Security Administration about making an application for benefits. The protective filing date may help you gain back benefits if much time passes before the application is complete. Reconsideration: See request for reconsideration. Reduction factor: The monthly amount by which benefits may be reduced if claimed before full retirement age. Replacement rate: The percentage of your income prior to retirement that your Social Security benefits will replace. The replacement rate is typically about 40 percent for average earners, more for low earners, less for high earners. Representative payee: An individual authorized to receive and manage Social Security benefits on behalf of a beneficiary who is unable to handle his or her own financial affairs. Payees must use the benefits to meet the needs of the beneficiary, save anything extra and keep records. Request for reconsideration: In most states, the first step in challenging an adverse decision on your application for benefits. This step is usually required before you may request a hearing with an administrative law judge. Residual functional capacity: An individual's remaining ability to function in the workplace, despite the limitations of a physical or mental condition. This can be an important factor in assessing whether an individual can work or is disabled. Retired-worker benefits: See retirement benefits. Retirement age: See full retirement age (FRA) and early retirement age. Retirement benefits: Payments made to workers who have earned Social Security coverage, starting as early as age 62. The Social Security Administration sometimes calls such benefits retirement insurance benefits or retired-worker benefits. Retirement earnings test: See earnings test. Retirement insurance benefits (RIB): See retirement benefits. Retroactive benefits: Benefit payments predating the time of application that sometimes may be made to individuals older than full retirement age, the disabled and certain dependents. SECA tax: The payroll tax for Social Security and Medicare paid by the self-employed under the Self-Employment Contributions Act (SECA). The Social Security portion has historically been set at 12.4 percent on net earnings up to an annual cap, although Congress has approved temporary breaks. The Medicare portion is 2.9 percent on net earnings (uncapped). Social Security: Social Security is based on a simple concept: While you work, you pay taxes into the Social Security system, and when you retire or become disabled, you, your spouse and your dependent children receive monthly benefits that are based on your reported earnings. Social Security Act: A 1935 federal law that created the Social Security program. The original act included benefits for retirees and the unemployed, among other provisions. Social Security Administration (SSA): The agency that runs Social Security, Supplemental Security Income and enrollment in Medicare. The headquarters is in Baltimore, and field offices are in communities across all 50 states and U.S. territories. Social Security Handbook: A comprehensive guide to Social Security and its regulations, written for the public. New versions of the handbook are available only online: www.ssa.gov/OP_Home/handbook. Social Security number: The nine-digit identifier for Social Security, usually assigned during infancy. Spousal benefit: A type of Social Security benefit paid to spouses, as well as former spouses whose marriage lasted at least 10 years. The amount is up to 50 percent of the worker's full retirement benefit, when claimed at the spouse's full retirement age. Also known as spouse benefit. Spouse benefit: See spousal benefit. Statement: A personal summary of Social Security benefits you have earned and projections for the future. You can get your statement by creating a "my Social Security" account online at socialsecurity.gov/myaccount. Supplemental Security Income (SSI): A cash assistance program run by the Social Security Administration for low-income individuals, including those who are age 65 and older, blind or disabled. SSI is funded by general tax revenue, not Social Security taxes. Survivor benefits: A type of Social Security benefit paid to surviving spouses, children and dependent elderly parents, based on the earnings record of a worker who dies. Also known as widow(er) benefit. Taxable maximum: The maximum amount of earnings to which the Social Security payroll tax can be applied. Also, the maximum amount of earnings that can be used in the Social Security benefit calculation. The taxable maximum was set at $113,700 for 2013. Also known as contribution and benefit base. See also maximum earnings. Treating doctor: A physician or psychologist who treats an individual who has applied for disability benefits. The Social Security Administration gives significant weight to the observations of a treating doctor. Trial work period: A span of nine months in which someone getting disability benefits may work without interruption of benefits. During the trial work period, the restriction on substantial gainful activity is not enforced. Trust funds: Separate accounts in the U.S. Treasury in which are deposited the taxes received under the Federal Insurance Contributions Act (FICA) and the Self-Employment Contributions Act (SECA). The money used to pay Social Security benefits is paid out of the trust funds. The main trust funds are the Old-Age and Survivors Insurance (OASI) Trust Fund and Disability Insurance (DI) Trust Fund. Trustees report: The detailed, annual disclosure of Social Security's finances, released by its board of trustees. The six-member board consists of the secretary of the Treasury, the commissioner of Social Security, the secretary of health and human services, the secretary of labor and two representatives of the public. VE: See vocational expert (VE). Vocational expert (VE): A government-paid occupational expert who may testify at a disability hearing about the type of skill and exertion required to perform an applicant's previous job or other jobs to determine whether the applicant can still do his or her previous work or other work. Wage earner: The individual on whose record a claim for benefits is made, including claims by dependents. Also known as worker or breadwinner. Wages: All payments for services performed for an employer. Wages do not have to be cash. The cash value of all compensation paid to an employee in any form other than cash is also considered wages, unless the form of payment is specifically not covered under the Social Security Act. Waiver of recovery: A request to toss out a Social Security overpayment determination, if you think such a determination is unfair. Widow(er) benefit: See survivor benefits. Windfall elimination provision (WEP): A rule that may reduce Social Security retirement benefits for individuals who earned pensions through government work not covered by Social Security. This provision reduces Social Security benefits for many older government workers who were under the Civil Service Retirement System. Most of the entries in this glossary were adapted from AARP's Social Security for Dummies, by Jonathan Peterson, © 2012 by AARP, and excerpted with permission of the publisher. Some entries have been adapted from the Social Security Administration's "Glossary of Social Security Terms."